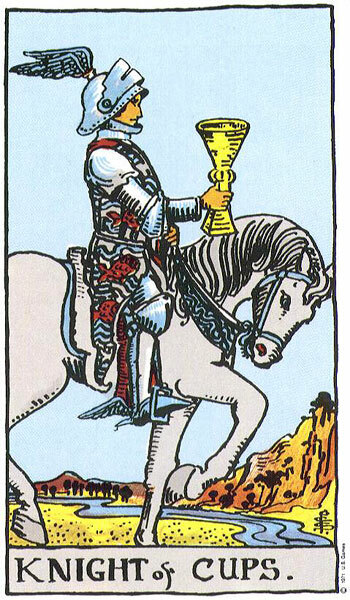 The King of Swords is a decent sort of a person, but very keen on taking action when his decisions are based on logic, knowledge and common sense. The King of Wands is a very different animal, preferring to rely on passion and intuition to direct his steps. When they are positioned next to each other like this, it looks as though the two Kings are very much engaged with each other. 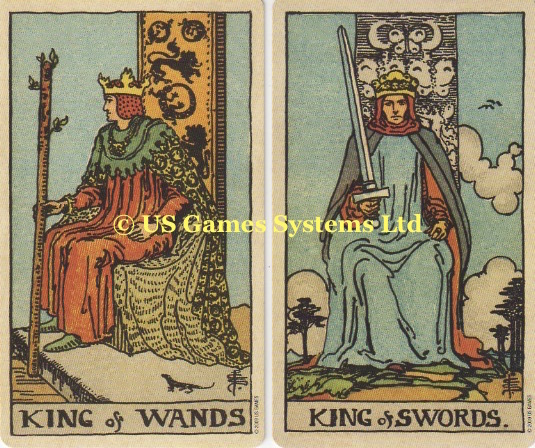 The King of Swords, by holding his sword in his right hand, appears open to the King of Wands. 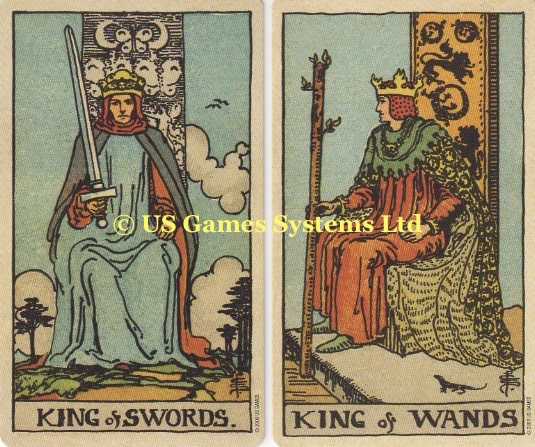 The King of Wands is entirely focussed on the King of Swords. Swap the cards around and you have a completely different take on the situation. 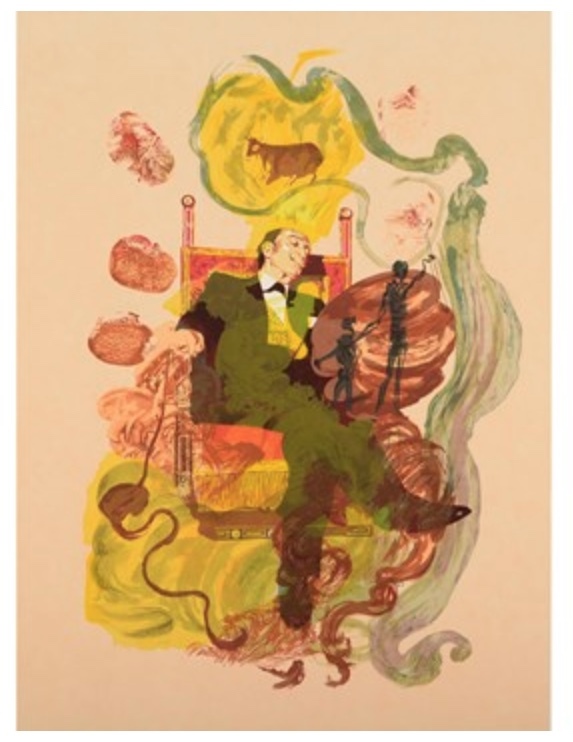 The King of Wands is looking elsewhere, with his back to the King of Swords. 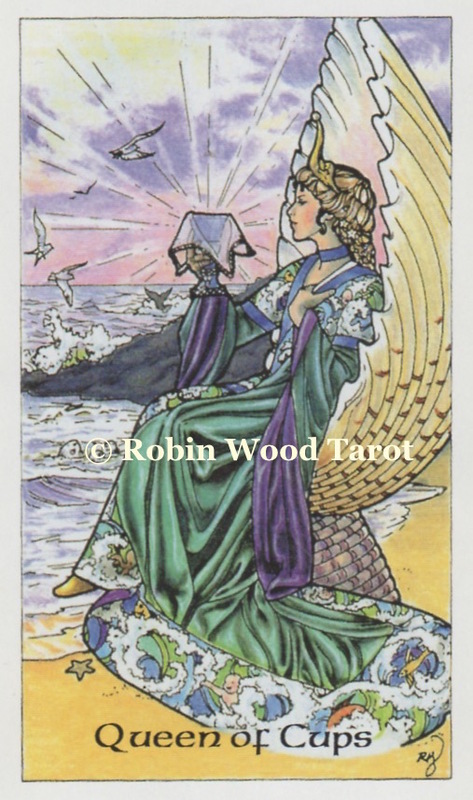 The King of Swords seems to be listening now to someone else, just out of sight – and of course that sword is now angled towards the King of Wands back! Not so much of the brilliant teamwork now, is there? 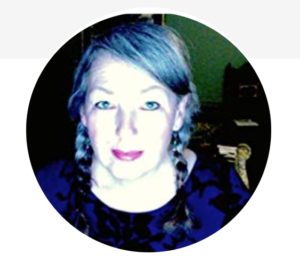 It’s looking as though they are not listening to each other, but to other people outside of their dynamic. Perhaps the King of Wands might be looking to the past, or his previous experiences, using them as a reference point, whereas the King of Swords is inclined to the future and new experiences? But what would those clouds mean, that his vision of the future is not as crystal clear as he might like to think? Atticus Finch and Captain Kirk are locked in a room and told to solve the Kobayashi Maru.